2014 album from the singer, songwriter, producer and label owner. 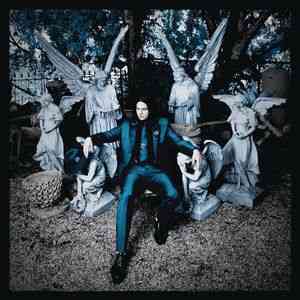 LAZARETTO is the follow up to his Gold-certified debut album, BLUNDERBUSS. Jack has sold over 7.5 Million records (solo material, The White Stripes, The Raconteurs and The Dead Weather) and his previous solo effort was nominated for five Grammy awards. Includes the single 'Lazaretto'. -	Dual-groove technology: plays an electric or acoustic intro for “Just One Drink” depending on where needle is dropped. The grooves meet for the body of the song.